The USA team is now in the World Baseball Classic semifinals against former champion Japan led by Ichiro and Kusuke Fokodome of the Chicago Cubs. 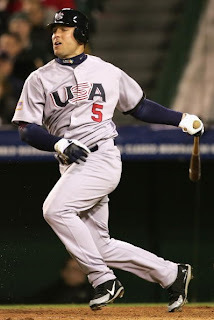 I predict USA to lose against Japan because of Japan's experience in the WBC(World Baseball Classic). The winner of this game will play Korea/Venezuela in the WBC championship for 2009. I predict Japan to win consecutive WBC championship's. I Made a New Blog! How About A Great Game?